and Chicago Department of Cultural Affairs and Special Events [DCASE]. 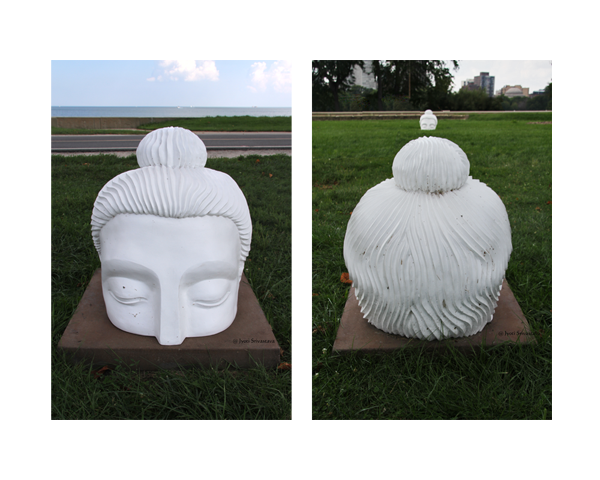 To the artist Indira Freitas Johnson, the emerging Buddha sculpture represents a symbol of peace and self-realization. When places in unexpected public spaces, it becomes a global symbol of peace. 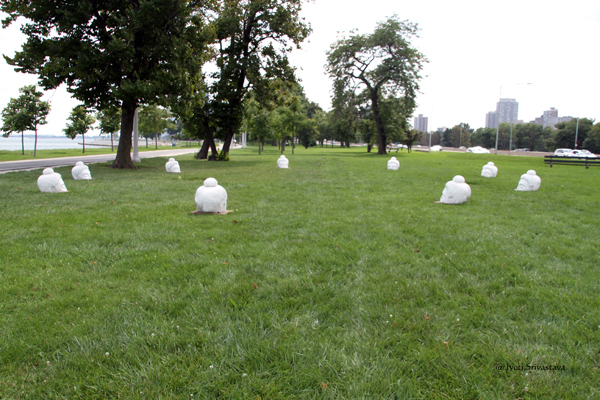 The installation is an invitation to reflect on the possibility of finding peace in our lives and our communities. 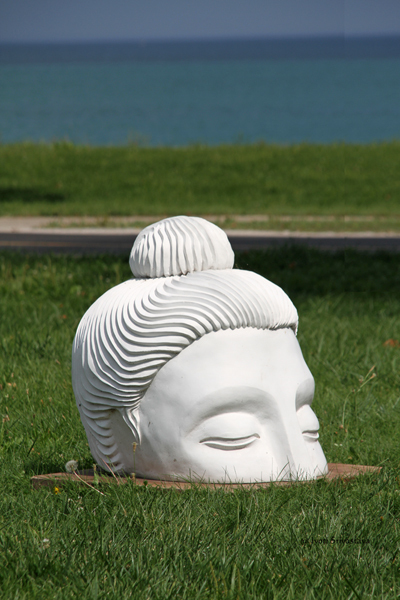 The Buddha image serves as a visual platform for the Ten Thousand Ripples [TTR] project, a collaborative civic art and public engagement project, led by Changing Worlds, in partnership with diverse Chicago neighborhoods and many community partners and local artists. 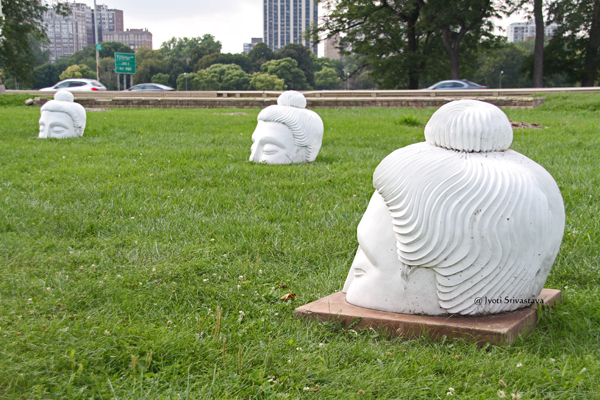 The Chicago park District and the City of Chicago hosts this initiative. 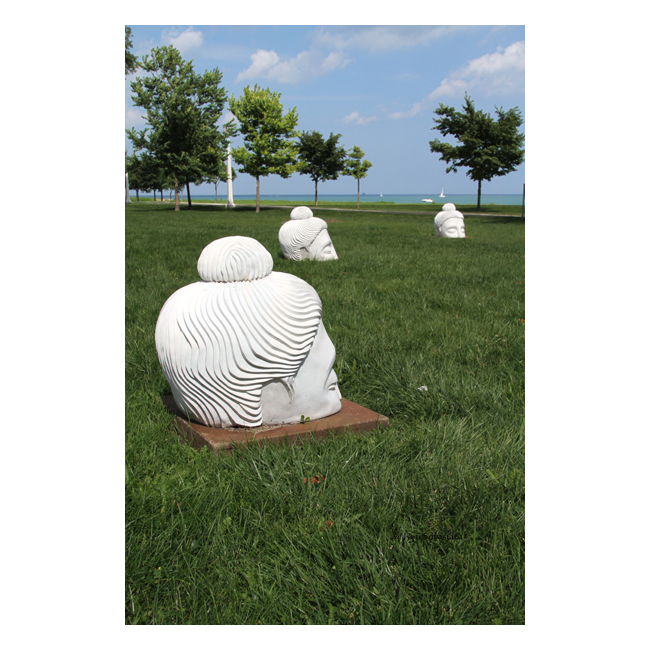 At the center of TTR are 100 fiberglass and cement Buddha heads designed by Indira Johnson and installed in sites in various Chicago area neighborhoods. The idea is to spark conversations on peace in peoples lives and communities, duplicating the “Ripple Effect” that a single pebble creates in a pond. 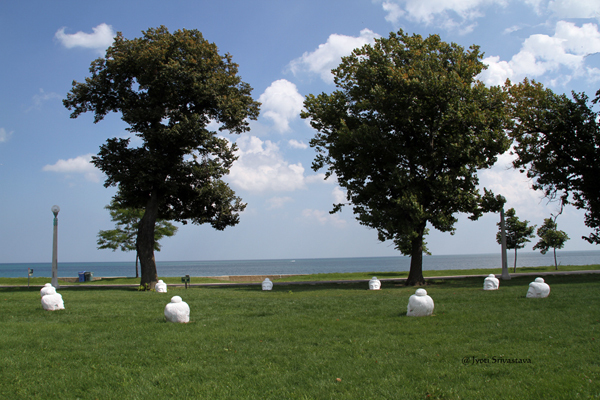 The locations for various installation are chosen by stakeholders in each community who are also planning and implementing related artistic programming. In 2013 I had met with Indira Johnson at her exhibition at Loyola Museum of Modern Art [LUMA], and talked about the project…click here.. 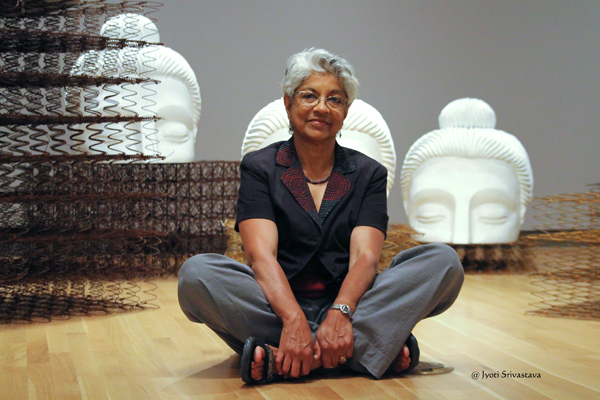 Ten Thousand Ripples – by Indira Johnson / Loyola Museum of Modern Art [LUMA].